How to fetch world record? it's in your head. And in your legs. In that order. Sport is a constant shifting limits and irrepressible desire for improvement. We are therefore very excited about the fact that in the 2017 SPORTSIMO ½ Marathon Prague there was a fourfold breaking of world records in the half marathon. If you need to buy new running gear from well-known brands at pleasantly low prices, click below - and the rest is up to you. Kenya’s Joyciline Jepkosgei flew through the streets of Prague in a fantastic time of 1:04:52. She broke the half marathon world record by 14 seconds and was the first woman in history to come in under the time of 65 minutes. World records were also set at her split times at the 10, 15 and 20 km markers. 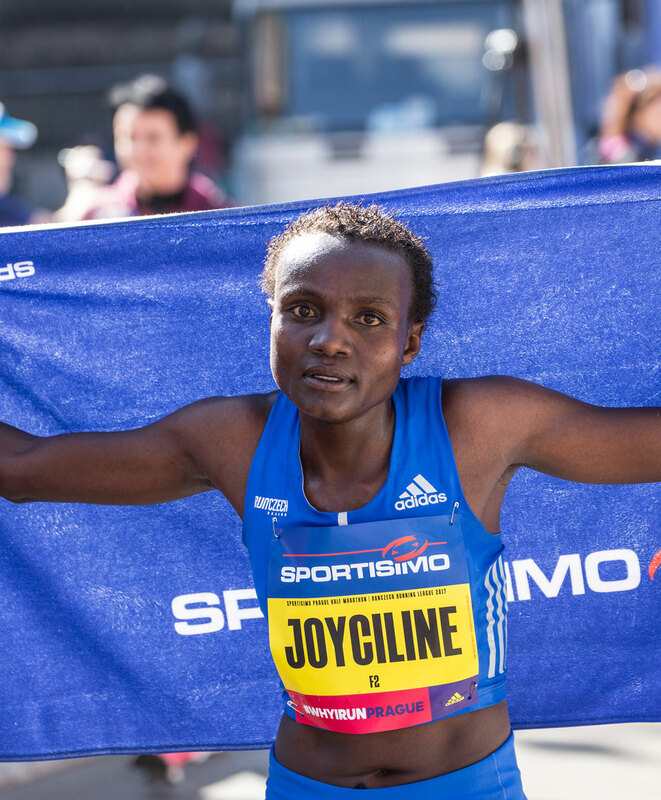 For Joyciline the record breaking happened casually, not until after she crossed the finish line did she know what time she was running.